This PDF 1.4 document has been generated by / vNext Technologies via ABCpdf, and has been sent on pdf-archive.com on 24/10/2015 at 14:13, from IP address 71.90.x.x. The current document download page has been viewed 1528 times. File size: 12.1 MB (84 pages). and control in rough terrain. rutted and chatter bump filled corners. exceptional bump compliance and control. four-cylinder engine is incredibly smooth and incredibly powerful. engine feel and unmatched quality. effect typically association with a four-stroke engine. confidence inspiring performance in nearly any terrain. water, goggles, gloves or other riding essentials. No other touch point is more important to a rider than the handlebars. 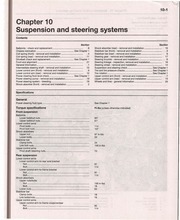 braking control, and handling in a wide variety of conditions. products are for identification purposes only, and are not intended to be an endorsement. © 2015 Yamaha Motor Corporation, U.S.A. All rights reserved. real--world comparisons with other models. predictable and sharp handling characteristics. reducing the engine braking effect typically association with a fourstroke engine. performance in nearly any terrain. for 2016 with a new performance inspired, color-matched windscreen. through rutted and chatter bump filled corners. unsuspecting terrain while retaining the utmost level of control. design delivers an assured “bite” in the corners with reduced darting. lengths for the inner and outer keel. for stability and light steering effort. to create an incredibly strong, lightweight and rider intuitive chassis. severe impacts throughout the chassis making it exceptionally resilient. soak up the harshest terrain with consistent control and performance. capabilities of previous Tuner Ski designs. braking force and feel with reduced effort. great fuel economy and a reputation for bulletproof durability. and no starvation. This ensures maximum power and throttle response. snow for optimum performance without excessive heat and noise. providing both comfort and convenience. heat to warm the bag and dry out goggles. wide-variety of trail conditions and riding styles. easily adjust the ride to conditions and riding preference. responsive engine feel and unmatched quality. compact chassis design resulting in improved ride and handling. after season of consistent performance with proper maintenance. and warmth for your hands. This file has been shared by a user of PDF Archive. Document ID: 00310311.